With a $600 loan and an idea to make miniature picture frames, David Green founded what is now Hobby Lobby. From its modest beginning, the company now totals over 850 stores. David serves as chairman of the affiliate companies, the CEO of Hobby Lobby and a merchandise buyer. David and his wife Barbara, are the proud parents of two sons and one daughter. Mart Green, Ministry Investment Officer of Hobby Lobby; Steve Green, President of Hobby Lobby; and Darsee Lett, Vice President of Art/Creative. Son-in-law, Stan Lett, is Executive Vice President of Hobby Lobby. David and Barbara enjoy 10 grandchildren and 14 great-grandchildren. 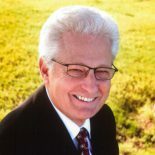 David serves on the Board of Reference for Oral Roberts University in Tulsa, Oklahoma. In 2013, he was the honored recipient of the World Changer award and is an Ernst & Young national retail/consumer Entrepreneur of the Year Award recipient, and a lifetime member of The Entrepreneur of the Year Hall of Fame, (which is part of the Entrepreneur of the Year Academy). David Green’s book, Giving It All Away…And Getting It Back Again, share’s Green’s journey into generosity and challenges readers to leave a legacy that goes deeper than money. His first book, More Than a Hobby, tells the story of Hobby Lobby and shares key insights into his philosophy of retail. Both books are available at Hobby Lobby stores, local bookstores and online. Please fill out the necessary fields below to download.